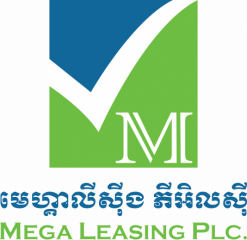 Mega Leasing Plc., a financial leasing company, was founded in 2013 and was officially granted license from the National Bank of Cambodia in January 2014. Mega Leasing Plc. provides consuming leasing and business leasing services, which include car, motorbike, bicycle, electronic equipment, household appliances, furniture, agricultural equipment and machinery product. Currently, the company has operations in Phnom Penh, Kampong Cham, Tboung Khmum, Siem Reap, Battambang, Banteay Meanchey and Sihanouk Ville.